We would like to take this opportunity to introduce to you the recently opened bitcoin investment platform "Invebit". Having prepared our grand opening for a couple of weeks now, we have finally hit the stage where we open up our whole system to the public. Sometimes the bitcoin world can be very harsh, especially to investors who buy bitcoins, keep them in their wallet just to see the rate drop - the result is, the investor looses a good chunk of his investment. Invebit was created to prevent that. Invebit is a no risk bitcoin investment platform, we allow users to invest their bitcoins in a safe investment vehicle that protects them from any bitcoin price drops. Our regular investment is perfect for any user that wants to be protected from bitcoin rate drops but also needs quick access to their funds, a user invests any amount he likes, starting from as low as $50. At the time of the investment the lower rate limit of the investment gets locked to the current bitcoin rate and may not ever fall below this rate. If however the rate goes up, your bitcoins will gain of value, just like if you had kept them in your own wallet. Your bitcoins are now effectively protected against any rate drops and can not loose value ! All Invebit charges is 15% of your profits (only) - if your profits are $0 - the user will not be charged anything. 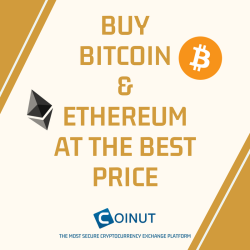 A user may withdraw his investment plus profits at any time he likes, however the minimum runtime for a regular investment is 24 hours. In addition to our regular investments we also offer classic fixed term investment options, we have a variety of terms available. Some crazy ROI is to be earned here ! All fixed term investments enjoy the same rate protection as the regular investments. Fixed terms investments are the perfect option for anyone who would like to acquire high return on investment. Last but not least, invebit offers a free to user referral system with great rewards, every user gets a unique referral link. For every user that signs up through this referral link, the account who referred the new user will receive 5% of every deposit the referred user makes, as account balance - free.